Barbara Honegger, M.S. has served in high-level positions in the U.S. Government, including White House Policy Analyst, Special Assistant to the Assistant to the President, and Director of the Attorney General’s Gender Discrimina-tion Law Review at the Dept. of Justice, where she was the highest-ranking official for women’s rights in the federal government. 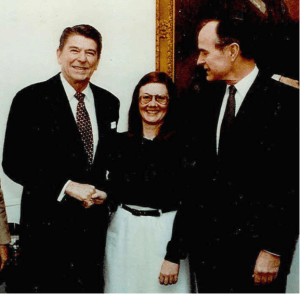 From 1995 to 2011, Ms. Honegger served as Senior Military Affairs Journalist at the Naval Postgraduate School, the premiere science, technology and national security affairs graduate research university of the U.S. Department of Defense. Her pioneering book October Surprise — on the deep story behind the Iran side of the Iran/Contra scandal, which has been confirmed by formerly classified documents and deathbed confessions of key conspirators — led to a full-subpoena-power Congressional investigation funded at the level of the 9/11 Commission. Since 9/11, Ms. Honegger has been a leading researcher, journalist, author and public speaker on the true events of thatday speaking at conferences and presentations in the U.S., Europe and Canada. She researched, wrote and produced the video documentary the 9/11 Museum Virtual Walking Tour (below) which uses the actual exhibit items in the 9/11 Museum at Ground Zero itself to prove that the Official Story of 9/11 is a Lie. “This is a monumental epic video — a masterful Tour de Force! “Hat’s off to You for your Walking Tour! It is a truly courageous and ground-breaking piece of investigative video! Well done! “The Tour is an ingenious concept, very provocative and informative. The Walking Tour has nearly 200,000 views on YouTube and was the featured film at the main 9/11 Truth event worldwide this past 16th Anniversary of the attacks, held at Federal Square in NYC. The Terror Conspiracy; Ch.13 in the 9/11 Toronto [Hearings] Report on the evidence for pre-placed explosives at the Pentagon on Sept. 11th; and ‘A Tale of Two Cities: Disturbing Parallels Between The New York and Paris 9/11s’ in Prof. Kevin Barrett’s expose book on false flag terrorism We Are Not Charlie Hebdo. Ms. Honegger was the only invited expert witness to testify at both the historic Toronto 9/11 Hearings on the 10th Anniversary of the attacks as well as the follow-on Vancouver Hearings, both in Canada, and was one of only two Sept. 11 experts to speak on the first 9/11 Truth Panel ever included the annual Left Forum in NYC, along with Prof. Barrett in 2016, and again with Richard Gage of Architects & Engineers for 9/11 Truth and Prof. Barrett at the Left Forum in 2017. Barbara was the strategic visionary for and personally executed the historic ‘Third Beam’ Spotlight shown into the NYC skyline on the 9th Anniversary of the attacks that has become the icon for both A&E and the 9/11 Truth Movement worldwide, as well as the historic Boston Tea Party for 9/11 Truth. She was also the strategic visionary for and played a central role in achieving the declassification and release of the famous ‘28 Pages’ on the role of Saudi Arabia in facilitating the (alleged) 9/11 hijackers, which led to the historic passage of the Justice Against Sponsors of Terrorism Act (J.A.S.T.A) that removes sovereign immunity from any foreign government or its agents that perpetrates or facilitates terrorist attacks upon U.S. citizens on U.S. soil, allowing for the first time in over 16 years the lawsuits of thousands of 9/11 Victims’ Family Members and Survivors to finally move forward in the U.S. Courts. She is a member of the Lawyers’ Committee for 9/11 Inquiry Grand Jury Petition Research and Drafting Committee; one of the 50 original high-level government, military and intelligence officials to call for a new 9/11 investigation at PatriotsQuestion911.com; and one of the 20 founding members of Political Leaders for 9/11 Truth. 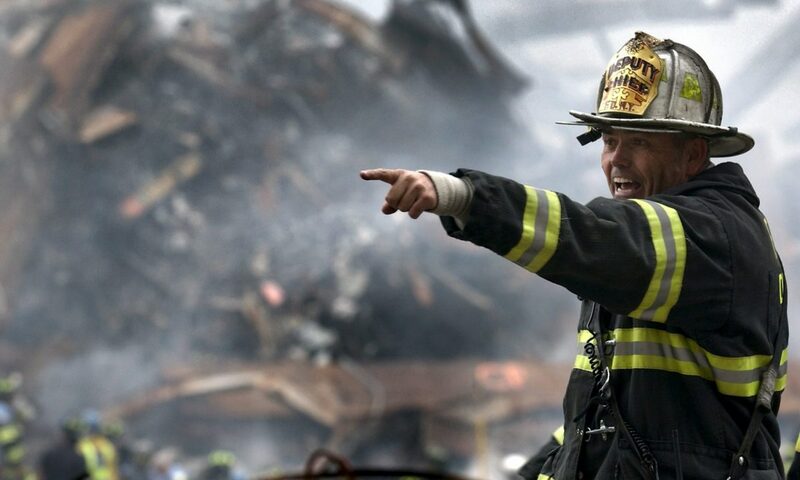 Ms. Honegger is a member of the Grand Jury Petition Committee of the Lawyers’ Committee for 9/11 Inquiry which will be submitting a formal petition calling for a special criminal grand jury to the U.S. Attorney for the Southern District of New York. 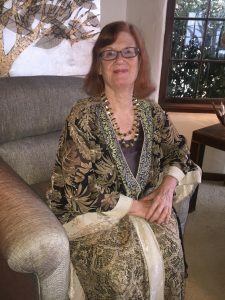 Ms. Honegger earned Bachelor of Arts degree from Stanford University; a Master of Science degree in Consciousness Studies from John F. Kennedy University; and Masters level certification in National Security Decision-making from the Naval War College. She has twice run for Congress in California’s central coast District, most recently in the June 2016 primary as an Independent.